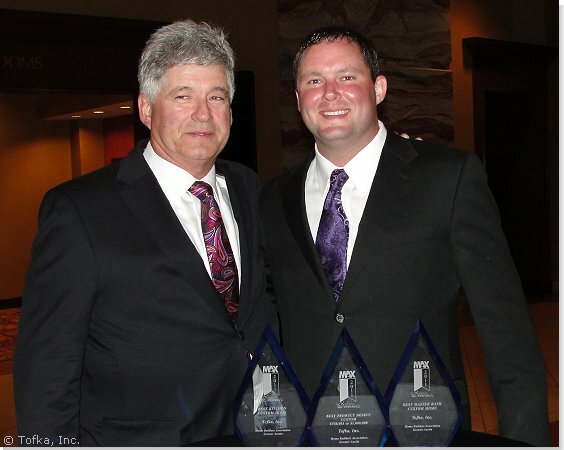 Founded in 1997 by father and son team Mike and Clint Carson, Tofka, Inc. is a locally owned and operated general contracting company based in Central Texas, serving the greater Austin area. Mike Carson has worked in the construction industry since 1974. Having earned over 30 years of experience building in and around Austin, he has successfully completed a wide range of projects. Clint Carson, a business graduate from Texas State University, has worked in the construction industry for over 15 years. Together they have completed hundreds of projects, both large and small. With their many years in the construction business, Mike and Clint have formed strong working relationships with the very best suppliers and sub-contractors, enabling Tofka, Inc. to offer competitive pricing while providing the highest level of craftsmanship and premium materials. Their painstaking attention to detail sets them apart from other builders. Tofka, Inc. can see your project through from initial planning to the final touch. Mike and Clint Carson are committed to quality and do not consider any project complete until the customer is satisfied. Tofka, Inc. is a member of the National Association of Home Builders (NAHB), the Texas Association of Builders (TAB) and the Home Builders Association of Greater Austin (HBA).